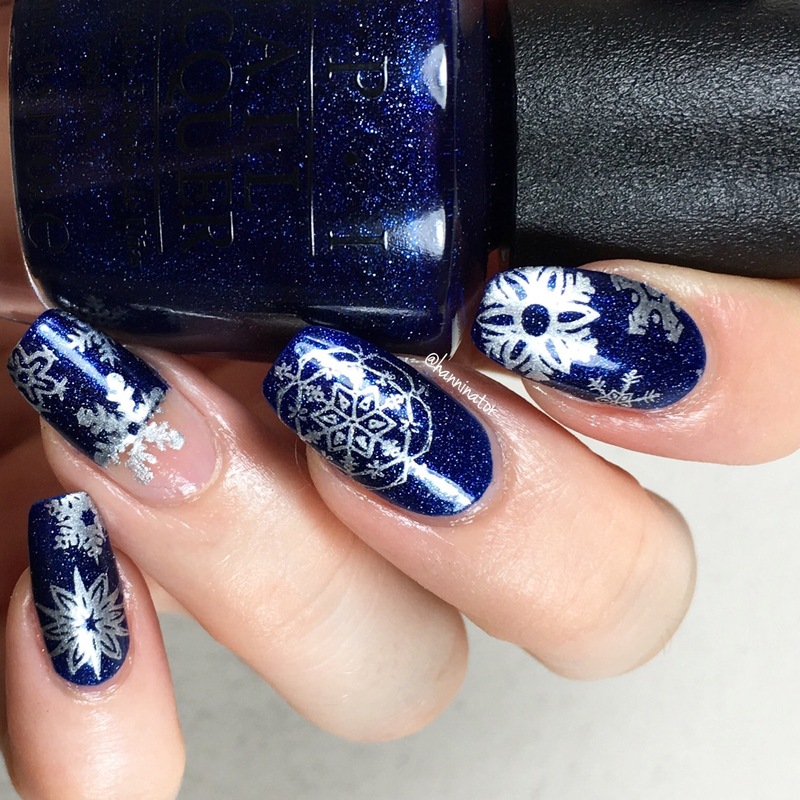 I wanted to make some snowflakes over I believe in manicures and then I saw a mani that I loved, so I had to recreate it. And I love how they turned out! As I said the base is I believe in manicures and used it together with It’s frosty outside, Alpine snow and stamping plate B003 Sweater weather from What’s up nails. 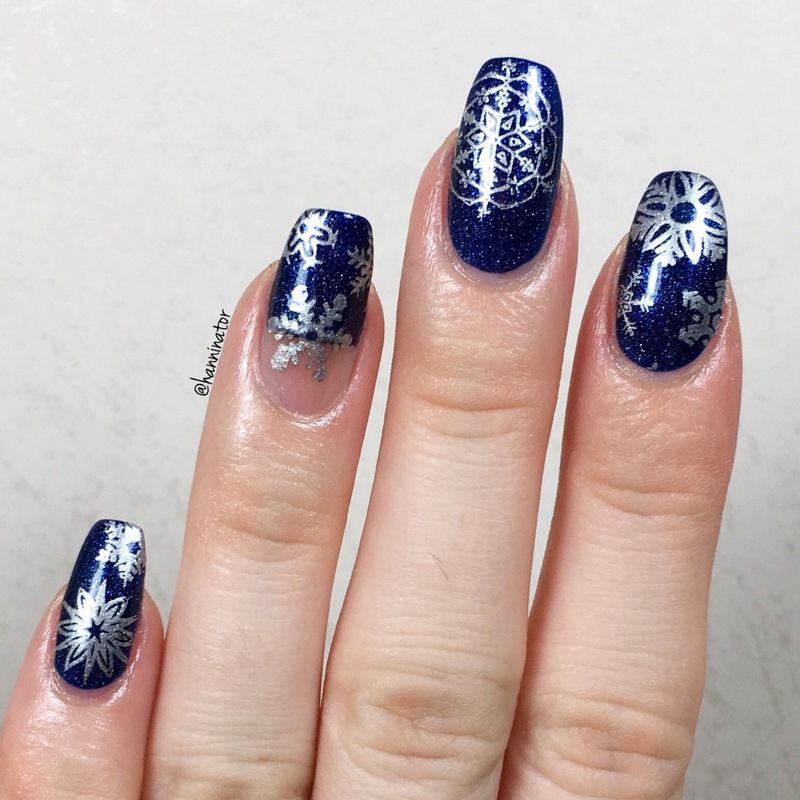 Today is day five of 24 days of Christmas by Hanninator and for today I’ve made some simple and elegant half moon snowflake nails. The base for this mani is the beautiful blue scattered holo Freya’s cats from piCture pOlish. I used it together with bright white (also from pp) and Jolly snowflake stencils from What’s up nails. 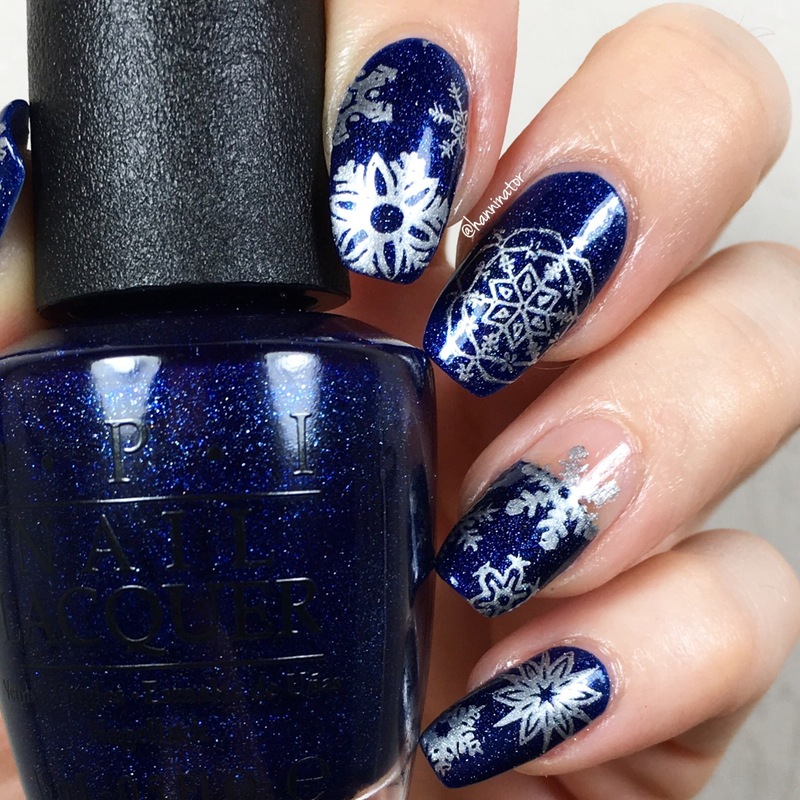 Hope you like these winter-y nails and check back for more nail art tomorrow!